Hosting a business meeting for Japanese people is much the same as any other business meeting: refer to participants by their last (family) names (and if you are speaking in Japanese, follow the family name with the honorific –san); notify participants of the starting time well beforehand; provide a choice of coffee, tea or water; start on time; don’t interrupt people when they are speaking; stay on topic; avoid the use of humor; and be prepared for direct, personal questions. Notify all participants of the start time as early as possible, and make sure that everyone—Japanese and non-Japanese alike—understands that the meeting will start at this time. Japanese culture places a high emphasis on consideration for others, and punctuality is a sign of respect. Choose a quiet location if possible. Many Japanese people speak English, or have studied English, but background noises can make it difficult to follow conversations. Having the meeting in a quiet location will ensure a comfortable listening environment. Provide a choice of beverages. Contrary to popular stereotypes, not all Japanese people drink Japanese tea, especially not at business meetings with non-Japanese persons. It Is best, if possible, to provide participants with a choice of coffee, tea, Japanese tea and water. Make sure there is ample table space for people to lay out papers and, if they need, an electronic dictionary. Again, many Japanese people speak English, but they may want, from time to time, to check the meaning of obscure or unknown words used during the meeting. 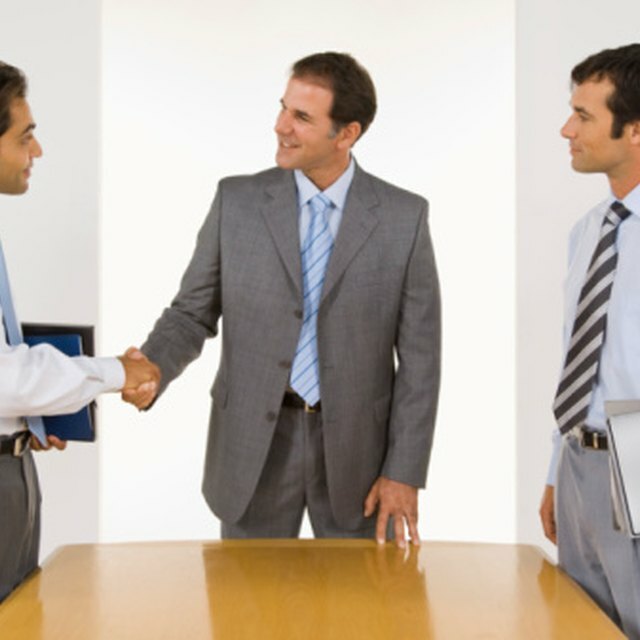 Allow time before the meeting starts for people to exchange business cards and informally introduce themselves to one another. Exchanging business cards is a significant and obligatory act for Japanese business persons. Signal that the meeting will start, allowing people to organize themselves and prepare. Introduce the participants. If you are conducting the meeting in Japanese, use the Japanese style of introduction: organization first, family name second followed by "-san." given name last. You may choose to let the participants introduce themselves; this is perfectly acceptable, and, if in English, the Japanese person may enjoy the challenge of displaying their English ability in front of the group. Restate the purpose and goals of the meeting. This should have been announced beforehand, but it will help people if they are reminded. Staying on topic is a sign of consideration in Japan. Do not interrupt persons when they are speaking. Allow speakers time to make their point. In Japan, people tend to explain points by first giving reasons and then stating the point, whereas people in Western cultures state the point first and then give reasons. This different communication style can be a source of impatience on the part of Westerners, and is best handled by not interrupting. Stay on topic. Keep any asides or anecdotes for the end or the meeting. Avoid the use of humor. Even though Japanese culture is changing, and humor is quite common in Japan, it is still best to avoid humor in business meetings. Humor may be a sign of friendship for Americans, but for Japanese business people it can be a sign of immaturity, and also runs the risk of not breaking through the language- or culture-barrier. Be prepared for direct questions. The website "Foreign Translations" warns readers that Japanese people tend to be direct in their questions when getting to know new people (see Reference 1). Questions such as "How much money do you make?" "Are you single?" or "How old are you?" may occur. If you are not comfortable answering such questions, find a polite way to deflect the question and do not show offense. Curtis Seubert started writing professionally in 2008. He has taught writing at universities in the USA and in Japan. Since 2000 he has lived in Japan, teaching English, writing and playing bass. He holds a Master of Arts in English literature with an interdisciplinary emphasis in quantum mechanics.